These are the key business issues that face Colorado’s elected officials. The FACC supports legislation that creates a competitive business environment and makes Colorado an attractive place to do business. The FACC recognizes and supports legislation that not only improves health care but does it in a financially viable and fair way. The FACC promotes attracting companies to Colorado with high paying, quality jobs. High quality education and training of Colorado’s workforce is critical for Colorado to prosper and compete in today’s marketplace. The FACC promotes a healthy economic climate and transportation issues are vital for a strong, healthy economic infrastructure. The FACC highlights our lawmakers need to focus on making Colorado’s economic climate competitive and accountable to the taxpayer. Regulatory reform must be smart and balanced by reducing any unnecessary taxes or rules on companies. The FACC opposes any aggressive regulations on industries which result in higher energy costs or discourage economic growth. Regulatory reform must be smart and balanced by reducing any unnecessary taxes or rules on companies. 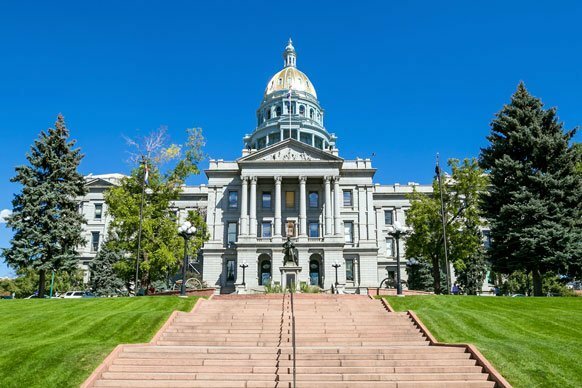 The FACC opposes any attempt to discourage economic growth in Colorado by driving jobs to other states by unnecessary environmental regulation on business. The FACC opposes any frivolous lawsuit costs; we support legislation that restores personal responsibility to Colorado’s legal system. The FACC opposes any proposal that drives up the cost of the worker’s compensation system in Colorado. Workers Compensation Insurance costs must be fair and balanced. The FACC promotes our lawmakers need to enact comprehensive immigration reform at the federal level. Elected officials must adequately fund and make workable any worker-verification system that employers are required to use.